The photo gallery below provides information about lizards and skinks found in Illinois. 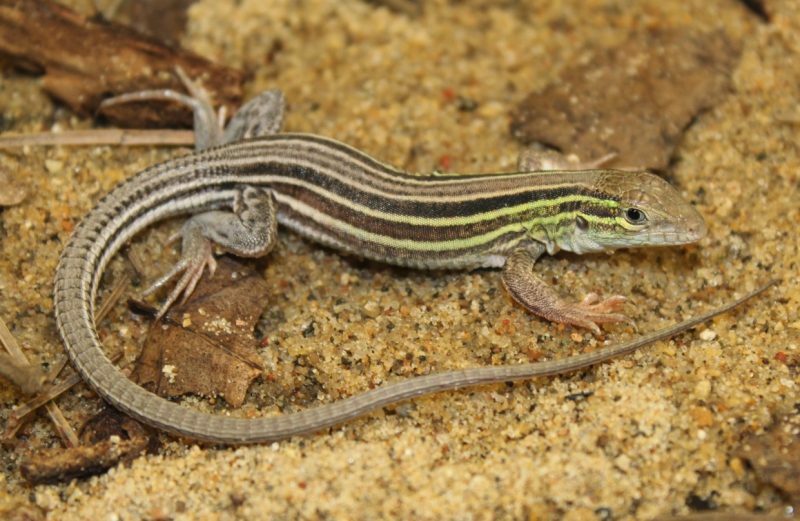 Additionally, the Prairie Research Institute’s Illinois Natural History Survey has an Identification Key to help people figure out what species of lizard or skink they have found. If you don’t know what the species is, click on the text to work through the key. If you see a photo that looks like the species you saw, then you can click on the photo to get information about that particular species. Click here to find out what species of reptiles and amphibians are found in your county. Lizards and skinks are sometimes found around homes since they will hunt for insects and other invertebrates in gardens or near buildings. 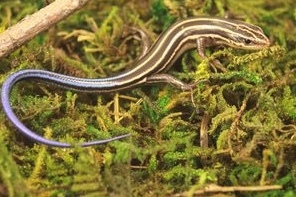 If a lizard or skink enters the building, gently catch it and release it outside. Be careful not to grab it by the tail to avoid injuring it.